I would venture to say that the #1 New Year’s Resolution each year is to eat better/workout more, which sounds really simple in theory: choose better foods (even though you probably still have a bunch of Christmas candy lying around) and go to the gym multiple times a week (which likely includes waiting 15+ minutes to use a machine because of the congestion that comes with new members at the beginning of each year). It isn’t a surprise that this is the #1 resolution year in, year out. Americans spend less time each year preparing meals, which means the majority of our food is eaten out, especially on the go. For Celiacs, it is likely no different, now that many quick (aka fast) food places offer GF items (such as Subway). There are bad and good choices at most of these restaurants – and once you’re there, it’s hard to make the good choice. Enter MyFitFoods. Many (almost the majority) of their prepared meals are gluten-free, and many are also dairy-free. Guaranteed GF is the most important thing – but their meals are also, for lack of better words, wholesome and nutritious. 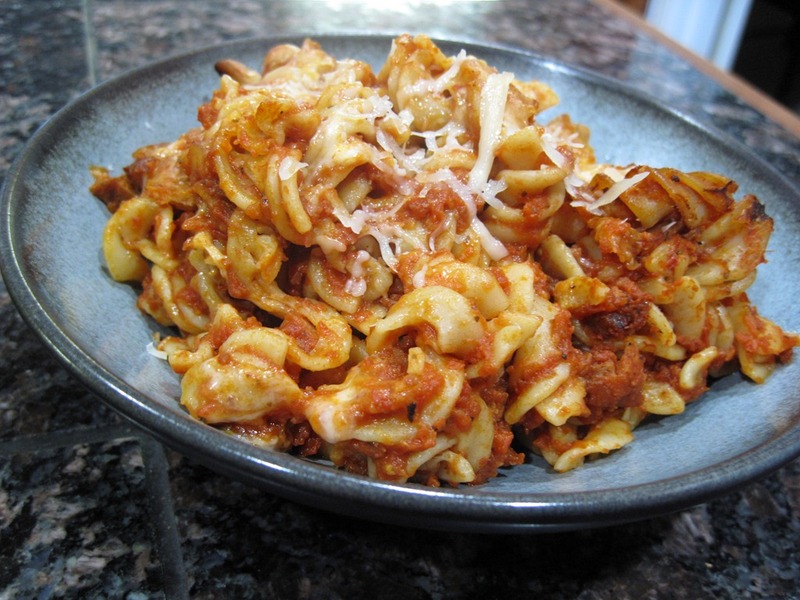 The ingredients are all pronounceable and the portion sizes are appropriate. The premise behind the food – 3 meals and 2 snacks a day – is that choosing the right balance of healthy fats, lean proteins, and low-glycemic carbs will help everyone to feel their best. I was given the opportunity to visit their store and to try some of the meals that they had to offer. 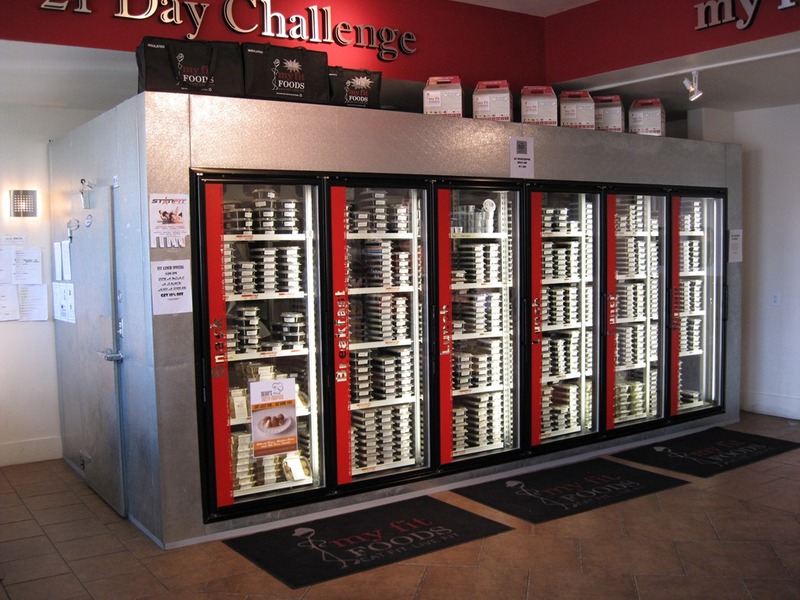 Their store is set up with large refrigerators that are organized by breakfast, lunch, dinner, and snacks. Each meal is organized within those categories, so if you are looking to pick up just lunches and want to eat the same thing each day, you can grab 5 of whatever strikes your fancy and be in and out of the store in minutes. 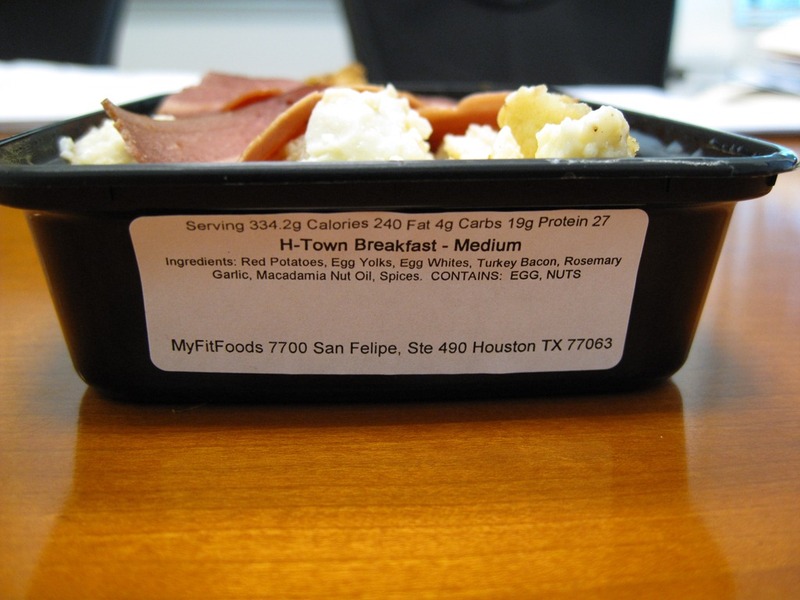 The thing I liked most about MyFitFoods is the fact that the meals are pre-packaged, but fresh. 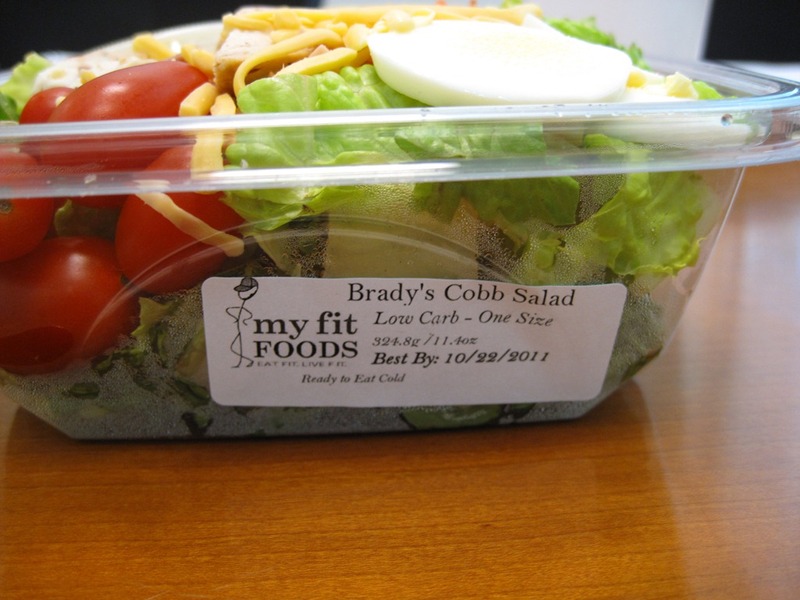 You could swing by the store on a Monday and pick up lunches for the rest of the week. Time is a commodity, and I’d much rather eat something fresh than frozen. 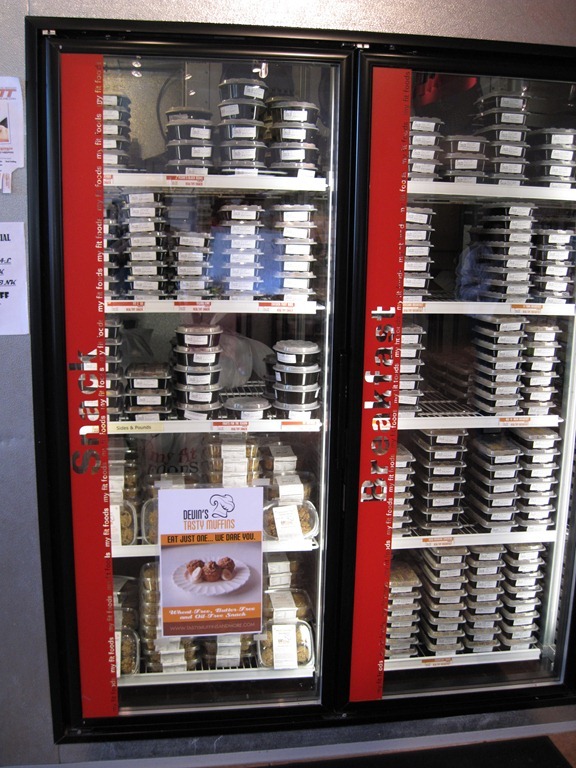 I tried one each of their breakfast, lunch, dinner and snack options but my camera ate all but the breakfast and lunch pictures unfortunately. 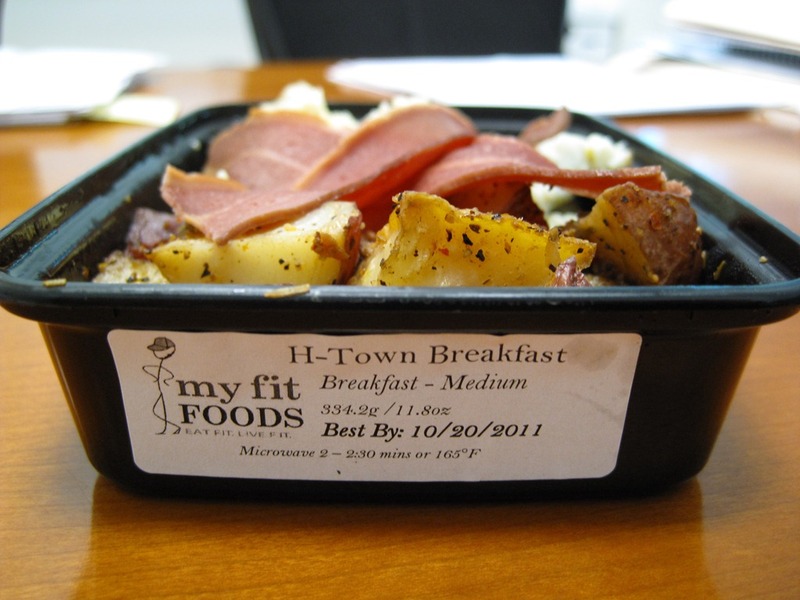 For breakfast, I had the H-town Breakfast, which was turkey bacon, scrambled egg whites, and country potatoes. 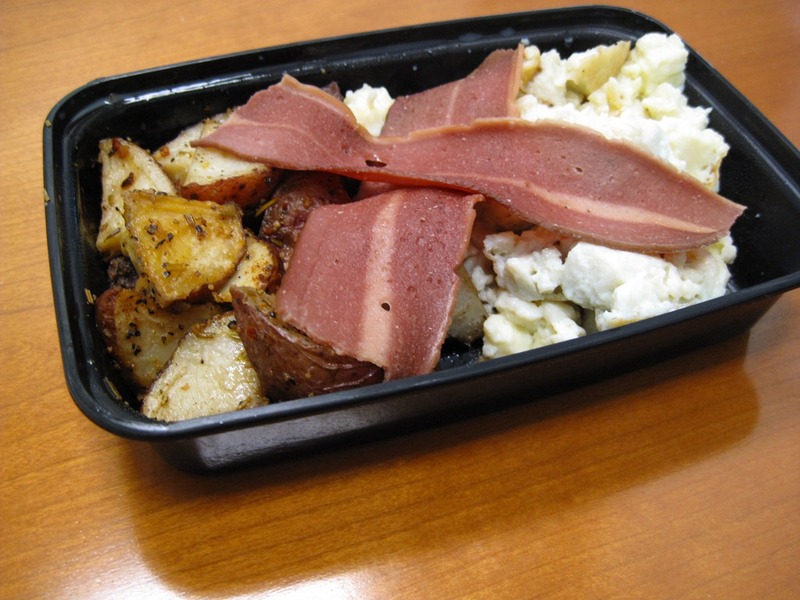 I liked that the potatoes had a slight kick to them, and the bacon and egg whites re-heated perfectly. 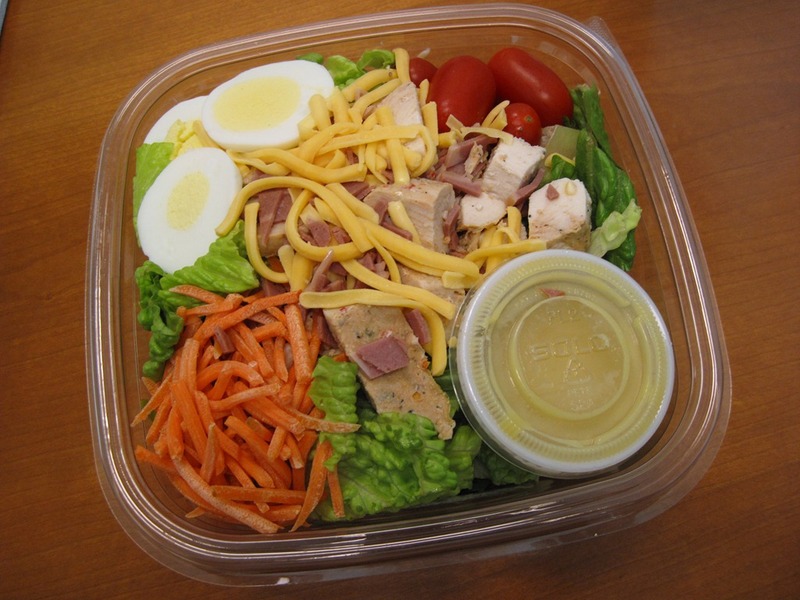 The chicken was well seasoned – something that usually isn’t done quite right in cold salads. 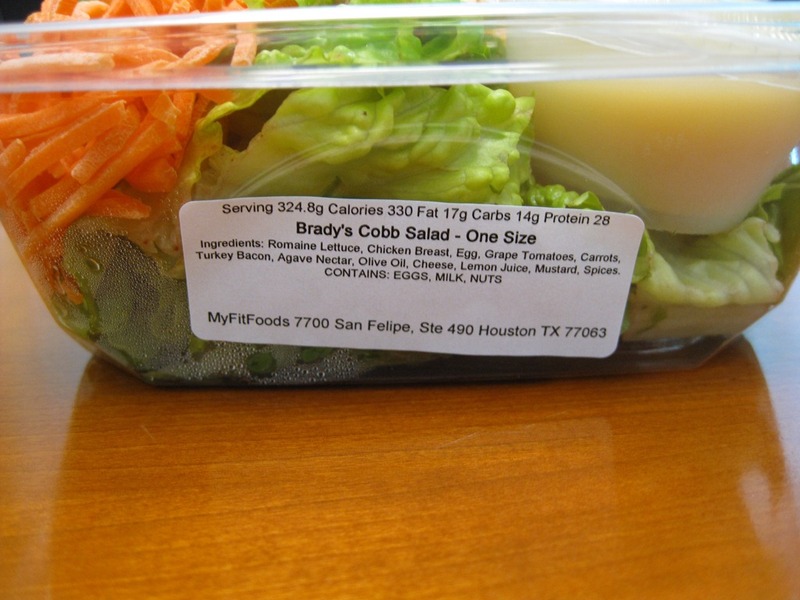 Overall, I think that MyFitFoods is an excellent alternative to “quick” foods, frozen meals, and the ever-so-boring turkey sandwich for lunch. The prices are competitive, and in the D/FW area, they have 8 locations, so you are sure to find one close to you. The food is generally very healthy with pronounce-able ingredients, so if you are looking to lose weight, you might as well kill two birds with one stone. For anyone interested in trying MyFitFoods, I have 10 coupons for a free entrée to the first 10 folks that email me at thedallasceliac at dopple dot net. Disclaimer: I received the food at no charge in exchange for a review. My opinions are my own. 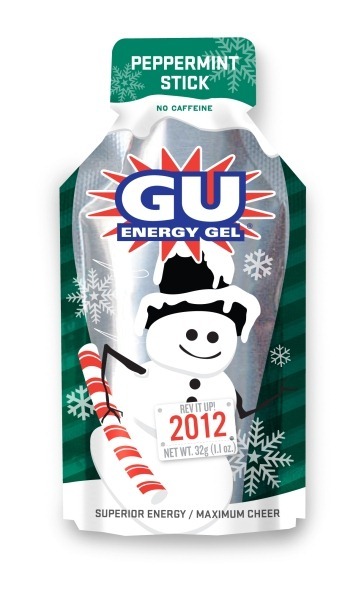 Released this week are some (rather odd) new (GF) Gel flavors from GU. 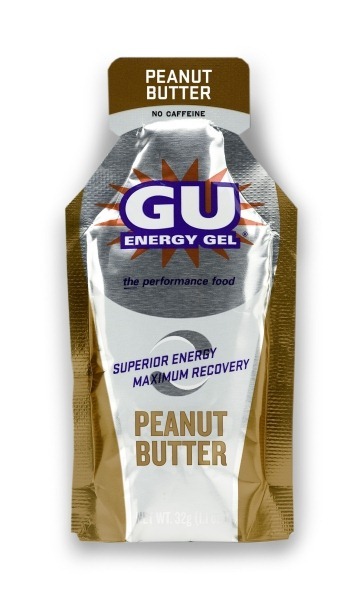 Mmmm… nothing like some liquid peanut butter after hours of sweating or hours spent swimming drinking lake water. This one isn’t as strange as the PB, although again, I can’t imagine wanting to eat something peppermint flavored after a bunch of time in the sun. I think I’ll be sticking to the unflavored or vanilla varieties, but for those that are more adventurous, there’s a GF gel flavor out there for you! Friends, meet the new love of my life. I’m not going to lie – I’ve gone through a box roughly every 2 days. They lie about the serving sizes (or perhaps they did not intend for one to eat it out of mixing bowls). In other (related) news, my longest run in marathon training thus far was the 20 miler I did yesterday. Since the hellacious 120 million degree heat of this summer has finally broken, one doesn’t need to hit the road at 4:30AM to escape the heat any longer. So I slept in and drove down to White Rock Lake at 8:15 and found a prime parking spot (score!). Miles 1-9 were rather uneventful. It was 45* when I started out and out of fear of being too cold, I overdressed a little (long sleeve technical shirt and full tights), so when I looped back by my car at mile 9 (the trail is exactly 9 miles), I swapped out my long sleeve shirt for a short sleeve one I happened to have only because I hadn’t taken my gym bag out of the car the night before (thank my lucky stars I decided to be lazy when I got home on Friday!). I had apparently really been hot because the next few miles seemed quite a bit easier with less clothing. Rather than heading in the same direction around the lake, I decided to run counter clockwise and retrace my steps for the next loop, as well as to turn around at mile 14, run back a mile, then turn around again and continue counter clockwise so that I would end up back at my car at 20 miles. I am super conscious of trying to avoid my car (or house, for that matter) when running or cycling, as it is all too tempting to cut the run/ride short because I happen to pass my home base. Sometimes it is inevitable, like yesterday’s run since the trail is only 9 miles, but hitting it as early as possible when you’re still feeling peppy is the key. I don’t know that I would have been able to continue running when I passed it at 18. The only amusing or slightly interesting thing about the run, other than the fact that I continue to be happy I’m a chick and have a built in pocket to carry GUs and shot bloks, is that right around mile 20 as I was cruising towards my car, some older guy on a mountain bike passed me going the opposite direction, slowed down, and flipped me off. WTF? I guess my sheer happiness at being almost done pissed him off. That or I was blocking his way during any of the other 19 miles. (Sidenote – as a runner AND a cyclist, I think running trails are no place for bikes of any kind. They aren’t safe for the people riding them, as plenty of folks walk their dogs or push baby strollers which means the cyclists are constantly having to maneuver around them or stop suddenly, and they certainly aren’t safe for walkers/runners as a runner was killed when a cyclist struck her on this trail last summer. So bikes – get off the trails and onto either specific “bike paths” or the roads!) Whatever he was trying to convey other than the obvious was lost in my joy at arriving at my glorious car, with my glorious recovery drink, glorious A/C, and glorious GPS that would get me home quickly to an ice bath, shower, and much deserved nap on the couch. Which it did. The front tire on Torch is flat, so instead of an easy spin this morning to flush out my legs, I opted to sleep in, because I definitely don’t do enough of that. I did need some active recovery today, though so I met my girlfriend Sharon and a bunch of other crazy triathletes at the lake for a swim this afternoon. The combo of cold water and the massage-like properties of swimming into a current made my legs feel quite a bit better by the time we hit an easy half hour. That’s why I love swimming – it is always dual purpose. But my favorite type of recovery? Mr. 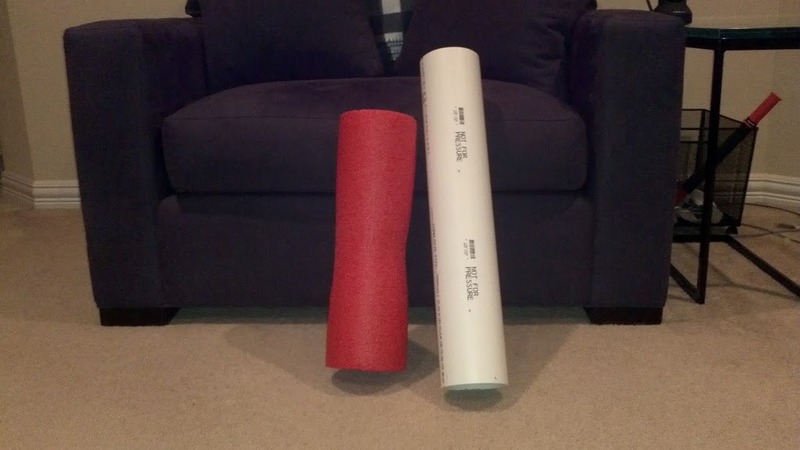 Foam Roller, my spectacularly tight IT bands have dominated you. It is time for you to be retired to that great foam roller graveyard in the recycling bin sky. 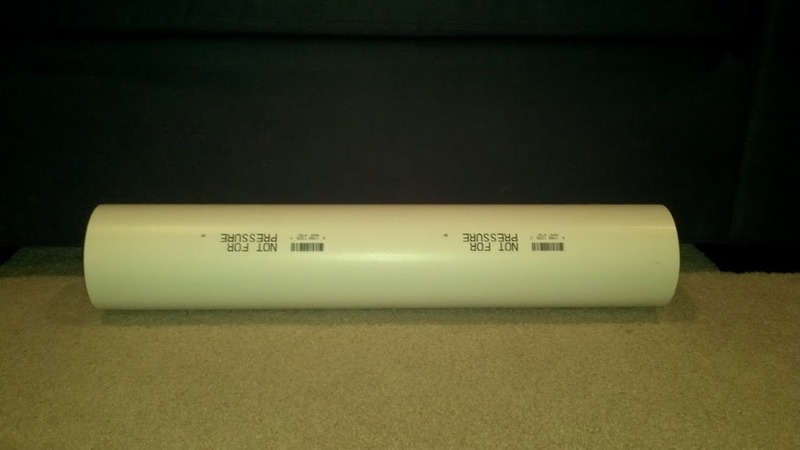 Mr. PVC Pipe. You will be dominating my spectacularly tight IT bands. 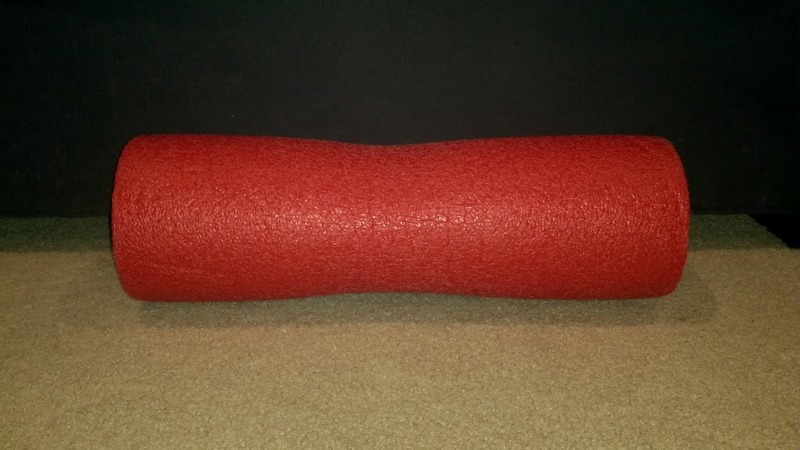 This beauty is $6 of pure, unadorned pain-causing tight IT band relief. And despite the warnings so delicately imprinted on his side, the adorable old guy at Home Depot claims that both he and I could jump on him for hours without him crushing. After my 15 miles last night (which was both a joy and torture after a long day at the office, I might add), I spent about 8 seconds on each IT band with Mr. PVC Pipe. I would have rolled longer but this type of torture requires a break-in period. And today, everything is sore EXCEPT for my IT bands. $6 well spent, my friends. I’m kind of in a strange place with my training. My 2011 ‘A’ race (Redman half distance) is over and I was really happy with my performance. I executed perfectly and hit my goal paces spot on. My 2012 ‘A’ race – or what I should call my ‘AAA+’ race – Ironman Coeur d’Alene is a little more than 8 months away. Too early to start training for it, but nearly everything I do is with it in mind, so it’s difficult to not want to jump on Torch and start my 6 hour rides now, just so I’m prepared. My next event is a century (100mile ride) put on by my cycling club on October 29th, and my next race is the Dallas White Rock Marathon on December 4th. Right after Redman, I sprained my left ankle, so I had to take a week off cycling and 2 weeks off running. Add to that the 2 week taper before the race, and my regular running has been ‘off’ for a month. So, I haven’t been running as much as I would have liked to given that WR is 7 weeks away, and I haven’t been riding enough to feel good about the century. I think I have enough base to do both without too many problems… but I still don’t feel good about it. Way too light on the bike/run. This week was my first week running again since the sprained ankle incident. I took it super easy – 2 very easy 3-mile runs during the week and then what was supposed to be 15 miles today that ended up only being 1.5. Yesterday, my friend Sharon and I swam 4000 meters and then rode 4 hours. I didn’t fuel properly, we hit 20 miles of the most gorgeous rural scenery up at Pilot Point (near Celina) that had the worst chip seal known to man, and I bonked hard at the end. Lesson to self: oats + vanilla yogurt for breakfast just isn’t going to cut it. Today was supposed to be a 15 mile run, but I am still feeling the horrific effects of yesterday’s underfueling, so I ran 1.5 miles and called it a day. Because of that, tomorrow I get the distinct pleasure of a 3 hour run after work. Joy. 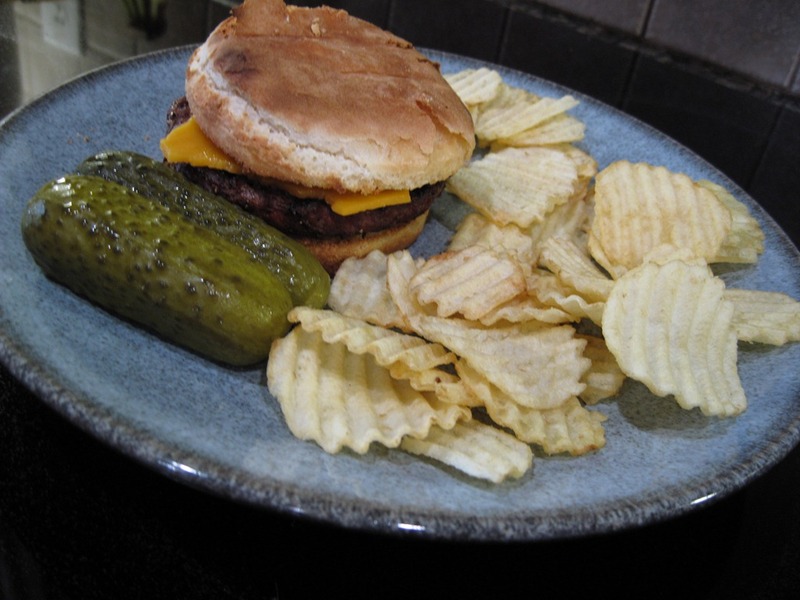 But all of that is made better by the awesome cheeseburger (homemade, with sharp cheddar and a little mayo on Kinnikinnick sandwich buns) with pickles & chips that I have waiting for me for dinner. Oh and the ice cream after. 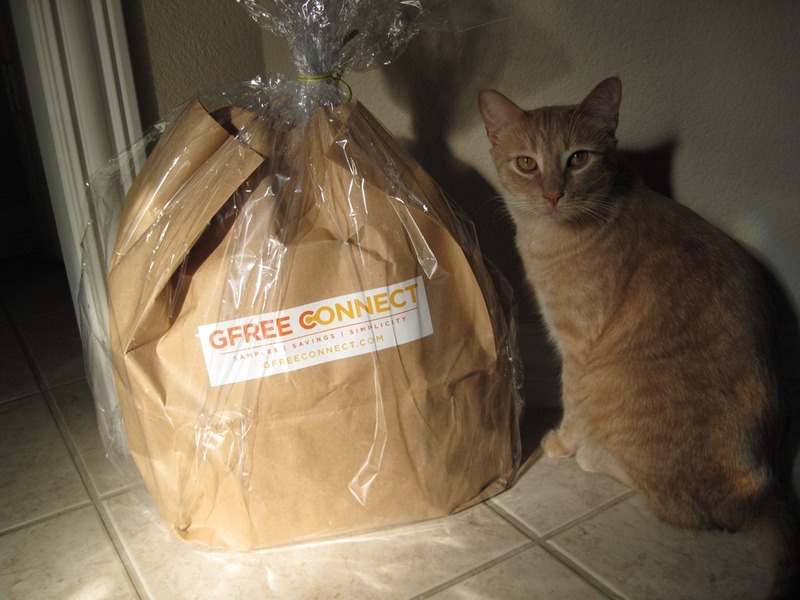 A few weeks ago, I was contacted by GFreeConnect to try their Care Packs. 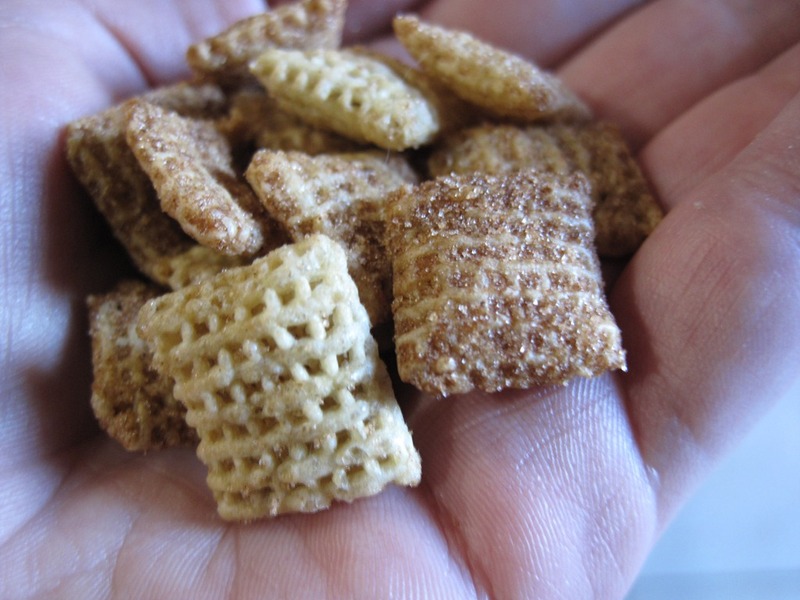 I love trying new GF products whenever I can because I remember when the amount of GF products out there amounted to bread that had the texture (and taste) of sawdust and assorted corn or rice based cereals. Oh, and the occasional energy bar. …which meant that Zeus immediately strolled over to check out what Mom was so excited about. Inside, the bag contained a ton of products. Many were single-serving, but there were also full boxes/bags of several items, including a box of Annie’s Gingersnap Bunny Cookies, a bag of Lundberg rice, and a box of Enjoy Life Chocolate Chip Cookies amongst others. There were also a bunch of coupons for GF products. See the GFreeConnect website for more info. I think the idea behind the Care Packs is pretty nifty. Quarterly shipments mean that the packs arrive infrequently enough that there is sufficient time to eat the products and use the coupons before the next shipment, but often enough that there are always new products to try. The varied full size products, single serving size products and coupons ensure that you aren’t stuck with a bunch of product that you don’t necessarily love but that you have opportunity to try several things to decide if you like them rather than being forced to pay for a full box of something at the grocery store that you may discard after 2 bites. And, considering how expensive GF products are, the full size products the pack contained alone nearly paid for the pack itself. But the best part? It arrives at your home like a quarterly present. I LOVE getting mail/packages in the mail. The only drawback to the service is for those of us that have weird secondary food intolerances. 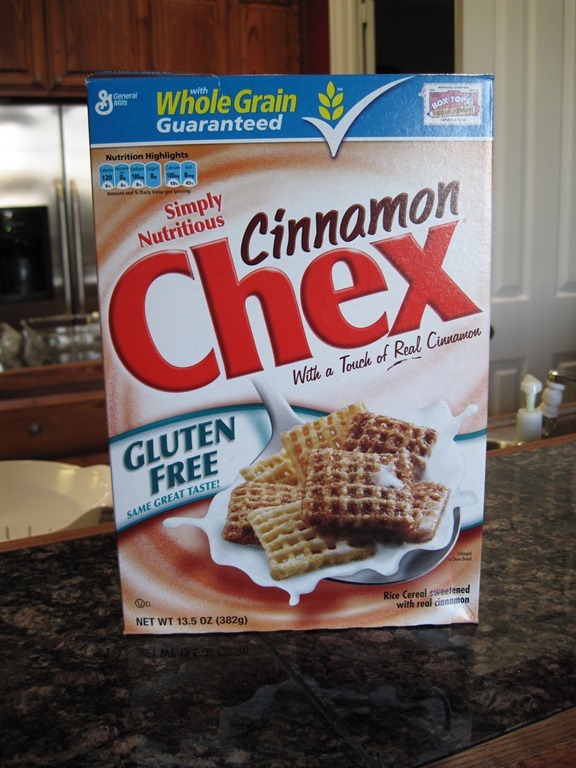 I don’t eat corn or xanthan gum, and a lot of GF products have one or the other, so there were several products that I didn’t get to try (my husband happily hoovered them up, though ). However, most of the products were free of super common secondary allergies like dairy and eggs, so for the general GF public, the product selection would be fine. I plan on emailing the company to see if there is anything they could do for those of us that aren’t just GF, but also corn-free, etc. 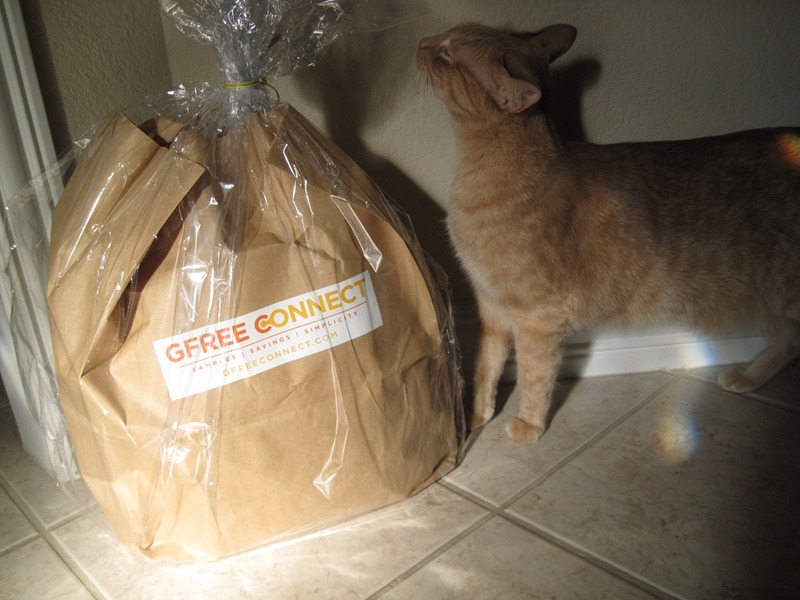 Thanks GFreeConnect for the Care Pack! Disclaimer: I received the product above for free, however my opinions about such product are my own. I’ve recently become a senior citizen on Sunday nights: dinner before 5, lights out at 9. I don’t know if it is because my weekends are as hectic as my work weeks, or that I want to savor every last bit of relaxation before getting back to the grind, but getting all of the necessities out of the way early has become a bit of a priority. Put off prepping for the week ahead too long and you’ll be simultaneously doing laundry and eating dinner at 11 PM. Been there, done that – not a pretty picture for a 5 AM wake up. Neither one of us wanted anything to do with cooking tonight, mainly because we skipped the grocery store this weekend and have the equivalent of a college frat boy’s pantry/fridge ingredients: dry cereal and beer. (And not the gluten-free kind either!) Oh and an entire turkey carcass in our freezer that I swore I was going to make into turkey soup… two Thanksgivings ago. I went gluten-free in April 2006. Finding GF food back then was like trying to find a contact lens you dropped on the carpet – nearly impossible and even when you did get lucky, you kind of wished you hadn’t (my contacts seem to attract every stray hair that has ever grown on one of our 3 cats – you basically just have to throw the contact in the trash as soon as you find it, but since cats will eat ANYTHING, you can’t just leave it on the floor to be discovered…. and then eaten). We were living in Norman at the time and if you’ve ever been to Norman, you know that the city is not exactly known for its vast array of dining options, so we really never ate out. A Red Robin was built and soon we had ONE option, but it was clear across town and not exactly an every day thing. Tonight as we pondered where to eat, it struck me as to how many options we now have. Between chains like Subway and non chains like Chamberlain’s, we really have a lot of places to choose from. Had this situation occurred back in Norman, we would have been forced to go to the grocery store. 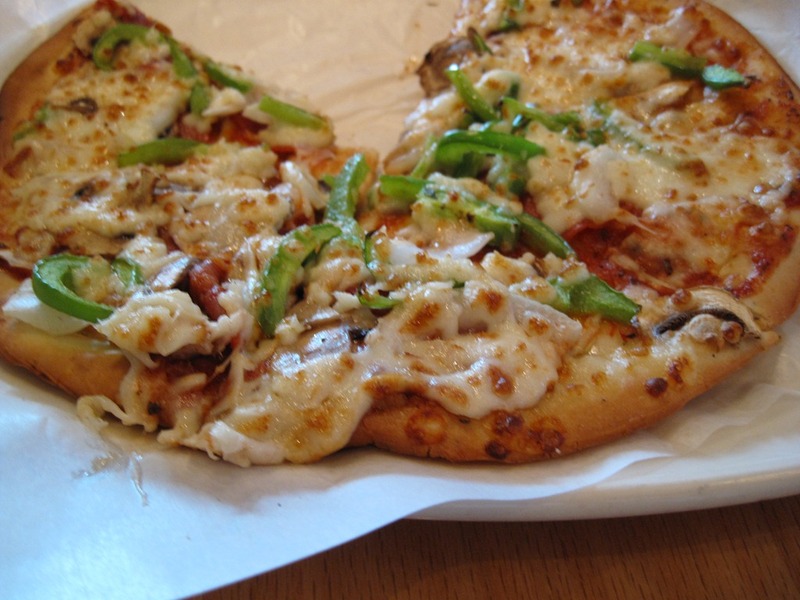 Tonight, we went out – for pizza! 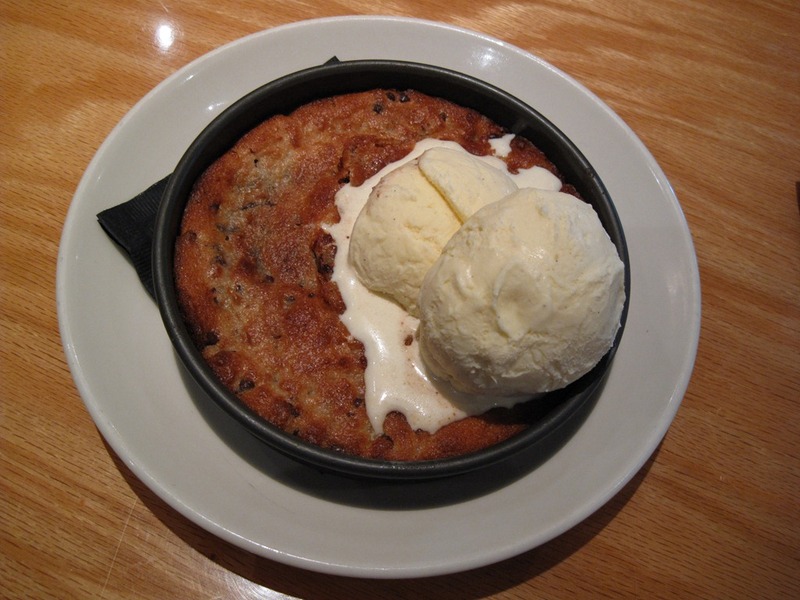 I don’t think I’ve mentioned my love of BJ’s Brewhouse before. 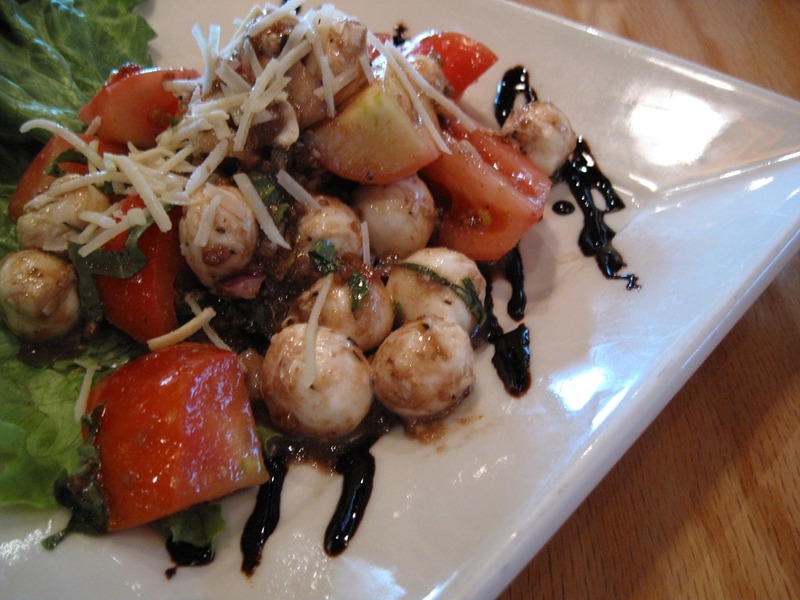 They brought me back with their tomato & mozzarella (essentially, a caprese salad) salad with the most amazing balsamic glaze. 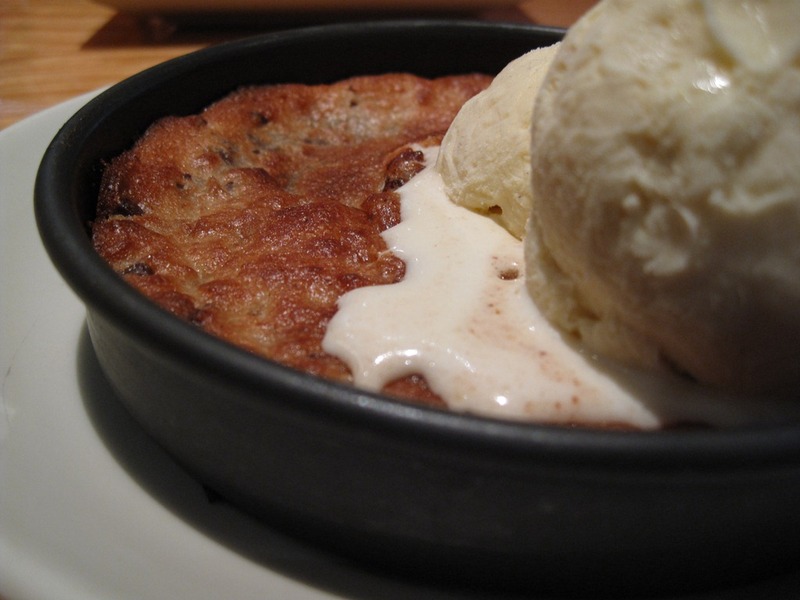 And they knocked my socks off with their gluten-free pizookie. 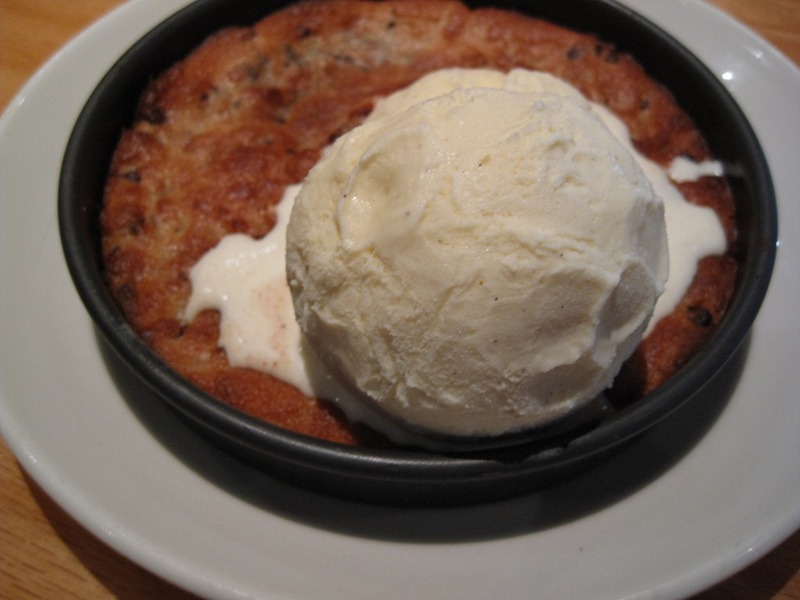 I’ve never had one of their gluteny pizookies (didn’t discover BJ’s until I was already GF), but this was basically a hot, gooey, melty chocolate chip cookie with vanilla bean ice cream on top. Seriously. Salad, Pizza, and PIZOOKIE. Run, don’t walk! Their entire GF menu is listed on their website and for those of you that live in the area, there are several located in the Dallas Fort Worth metro. Enjoy!